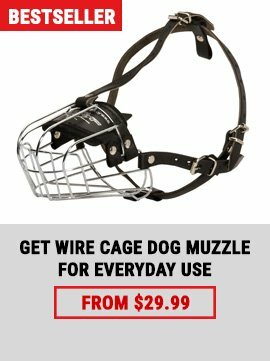 Dear Customer, remember, that for your dog's overall health and happiness, it's a good idea to spend some time getting him used to wearing a muzzle, rather than just putting it on the dog when it's needed. If you teach your dog to accept one, a muzzle can be an effective, humane tool for managing your dog’s behavior. The primary reasons to use a muzzle is that it prevents a dog from being able to bite. Unfortunately, many dogs bite, and while training can help to minimize the biting, a muzzle can be helpful to use before the dog learns not to bite. One big challenge dog owners face is trying to allow a wound to heal. Often a dog will continue to bite, nip, chew, and lick the irritating skin. This causes the wound to not heal property and the more the dog irritates it, the longer it will take to completely heal. The muzzle can prevent the dog owner from affecting the wound, as it doesn't allow them to bother it. It is time to muzzle your lovely pet, isn’t it? 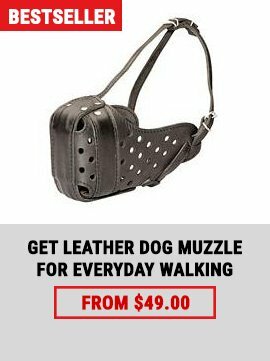 Do you want to choose the most comfortable muzzle for training activities and safe walking? Then, we propose you to purchase this amazing leather designed in a form of basket muzzle that will fit for these purposes. Your dog chews the furniture? This muzzle will also help you. This Super Beneficial Muzzle is exactly what your dog needs for happy and healthy growth. Do you want it to be fully safe for you and your dog? Then, our muzzle can completely satisfy all your requirements. 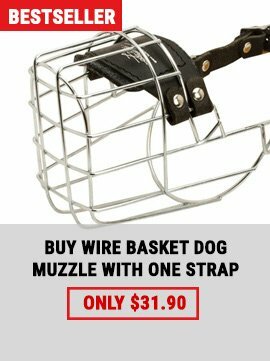 We would like to offer you the Wire Basket Dog Muzzle that is full safe and comfortable. Your lovely pet will be happy to wear it while training or walking. It is made of 100% non-toxic materials. This construction is lightweight and durable. It will serve you for many years.